Without doubt, connectors for field/outdoor use must withstand particular conditions in terms of adverse temperatures, shocks, vibrations, tensile stress, external pressure, corrosive surroundings, etc., which are beyond environmental conditions typically endured by standard commercial connectors and cable assemblies. 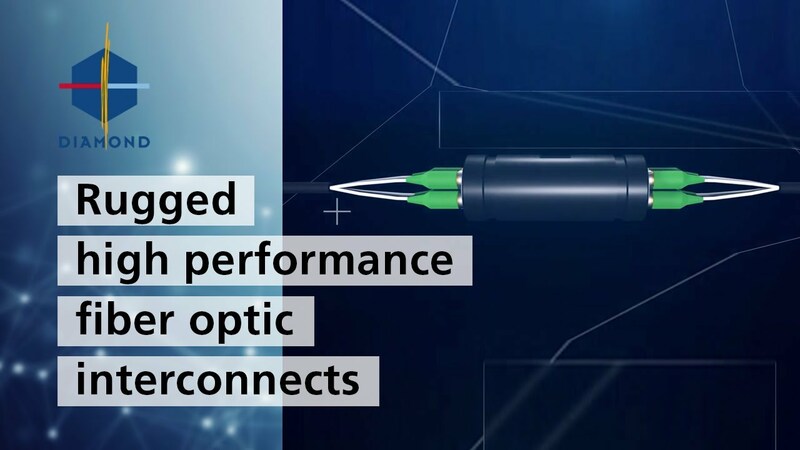 The worldwide market for harsh-environment fiber optics (HEFOs) is experiencing a steady growth, due to the rapid advances of fiber-optic technology, as well as the increasing demands for fiber-optic components for outdoor/industrial and tactical applications. Therefore, DIAMOND has responded to this growing demand by developing a wide range of strong, reliable, customizable indoor/outdoor field optical connectors and accessories product lines with superior optical performances and IP rating. These products are designed for industrial sites for applications such as energy plants, coal mines, offshore oil platforms, cement factories, refineries etc. as well as for field-deployable communications, mobile diagnostic units, avionics and space, security systems, machine controls, industrial machine networks and much more.